Mortal Kombat X (MKX) revealed a new character in its collection of fighters, the classic Kano, present since the first Mortal Kombat. His confirmation came after rumors of a German magazine that already showed the first photos in the game. MKX will be released in 2015 for PlayStation 4, Xbox One, PlayStation 3, Xbox 360 and PC. The story of MKX takes place 25 years after the latest game series, the Mortal Kombat reboot. Kano will be presented as an already aged character, who remains in the race thanks to his cybernetic implants. For comparison purposes, the police used to chase that Sonya Blade Kano, pass the torch in the game to his daughter, Cassie Cage. In his video debut, Kano demonstrates his skills in a fight against the new character: D'vorah, Queen of insects. 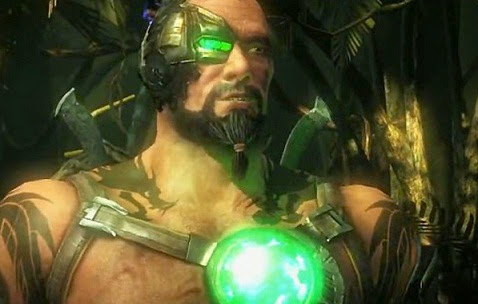 Like all other members of the cast of MKX, Kano has three different fighting styles: Cutthroat, and Cybernetic Commando. In Cutthroat, Kano longer trusts his knives, gaining quick strokes using them as a primary weapon. Cybernetic makes him focus on his eye that shoots laser beams, including anti-aircraft strikes and grenades. Finally, Commando makes it better for close combat, with most violent tackles and precise counterattacks.